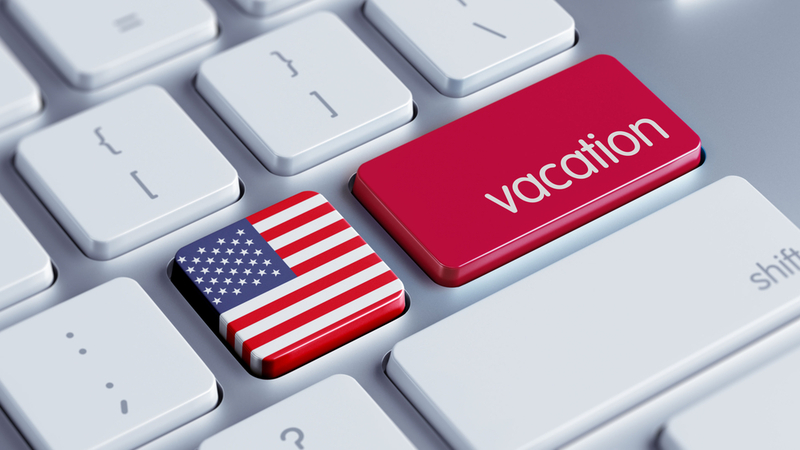 Are you looking for ways to attract 4th of July travelers to your hotel? Independence Day will be here in less than a month, and travelers have started searching the Internet for the perfect place to celebrate the holiday in style. This presents hoteliers with the perfect opportunity to build their brand with a multi-channel 4th of July marketing campaign. Using your hotel website blog and social hotel marketing strategies, you can introduce new guests to all you have to offer, while targeted email newsletters provide the chance to incentivize past guests to book a return stay. The dedicated team at Travel Tech Strategies has come up this list of our 5 best hotel marketing ideas for the 4th of July; put them into play and watch your booking rates explode! Entice couples with a targeted email promotion offering a special rate for an all in one romantic 4th of July getaway. Begin the evening with dinner in your restaurant or room service for two in their suite complete with waiter service. The couple can enjoy a private viewing of fireworks from their balcony if you have a view from your hotel; if not, provide a ride to a secluded viewing area where they can watch the festivities while sipping champagne. Follow up with a couples massage in their rooms and let the fireworks ignite! Put mobile hotel marketing strategies to work for you: send push notifications through your mobile hotel app to invite your elite guests to return for an exclusive VIP 4th of July experience. Start with the 4th of July parade; no one enjoys fighting the crowd to find a standing space in the hot sun. Rent the street frontage of a business along the parade route for the day, and set up a pavilion parade viewing area for your hotel guests with a portable bar with cool drinks and snacks so guests can enjoy the festivities in comfort. Set up a private rooftop fireworks watching party for your VIP guests that starts with a buffet dinner and dessert, with red white and blue cocktails during the fireworks. Continue into the night with a rooftop party under the stars. Send up a complimentary breakfast and pamper your guests with massages and spa services in the morning to complete the relaxing VIP experience. Turn your hotel into an adventure destination for families looking for holiday fun. Create an adventure package that begins with a complimentary morning breakfast buffet so guests can get an early start. Partner with a nearby theme park, zoo, zip line course, or water park for a day of exciting local thrills, and then provide transportation to watch the fireworks. Follow up with a poolside barbeque at your hotel with entertainment for the last day of the holiday weekend. Promote your package using a targeted newsletter to the families on your email list and employ the complete spectrum of hotel social marketing strategies, including postings on Twitter and your Facebook page. In the weeks leading up to Independence Day, travelers will be turning up the search for 4th of July festivities. Make sure these searchers find their way to your hotel website by posting blogs that highlight local Independence Day celebrations including parades, festivities, concerts, etc. Create a 4th of July celebration calendar with links to events and include the distance of each to your hotel – if your city has a dearth of available parking, you can boost your bookings by offering free shuttle service to holiday events and a special reduced lodging rate for locals who book a stay. Market research firm Experian found that the majority of online searches related to Independence Day events occur in the week before and the week of July 4th. To get the largest marketing reach for your 4th of July posts and event calendar, you should add them to your site and submit your XML sitemap a few weeks in advance to give Google time to crawl them. Remember to include 4th of July- related keywords in your website blogs, images, and social marketing posts to raise their profile in holiday search results. Experian also found that 4th of July email messages that included a discount in their subject line had a 9% increase in unique open rates, so keep that in mind and label your email newsletters accordingly. Turn to the marketing experts at Travel Tech Strategies for more hotel marketing ideas and everything you need to bring them to life including responsive hotel website design, custom hotel mobile app development, expert SEO services, and more. Contact us at Travel Tech Strategies today at 954-779-2801 for more online hotel marketing ideas and the expert hotel marketing services to bring them to life!